DSD Honored as Bob Scott’s 2018 VAR Star! 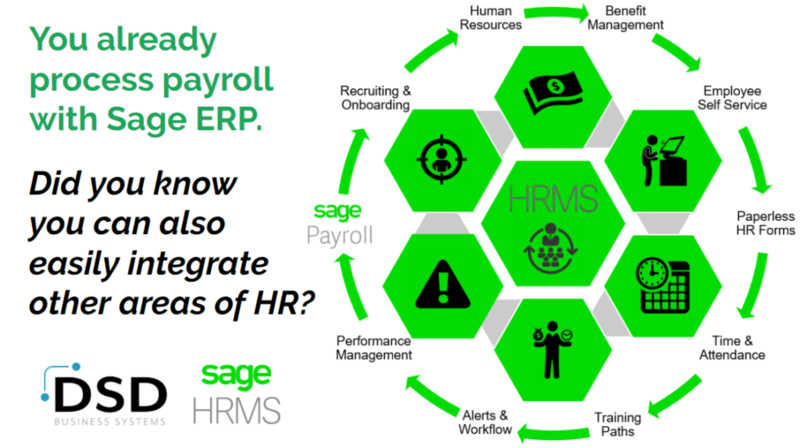 Sage Summit 2019 Early Bird Pricing – ONLY 5 DAYS LEFT! Acumatica Summit 2019 Registration is LIVE! 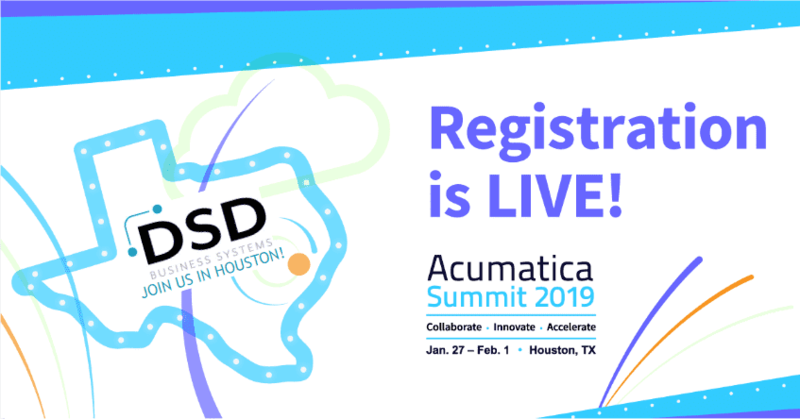 Acumatica Summit 2019 in Houston, Texas! 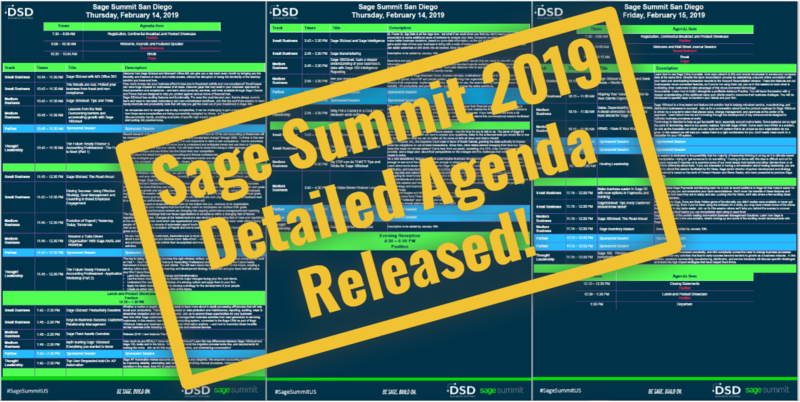 Sage Summit 2019 San Diego Registration NOW OPEN!